It’s our responsibility to change. November 19, 2018—–Earth’s climate has been changing from the time the planet came into being. It has gone through times when it was much warmer than today and others when it was colder. The climate of today is one that is inseparable from the growth of the human population. The industrial revolution began about 1770 AD and is synonymous with the advent of the steam engine. Steam engines burned fossil fuels, primarily wood or coal. 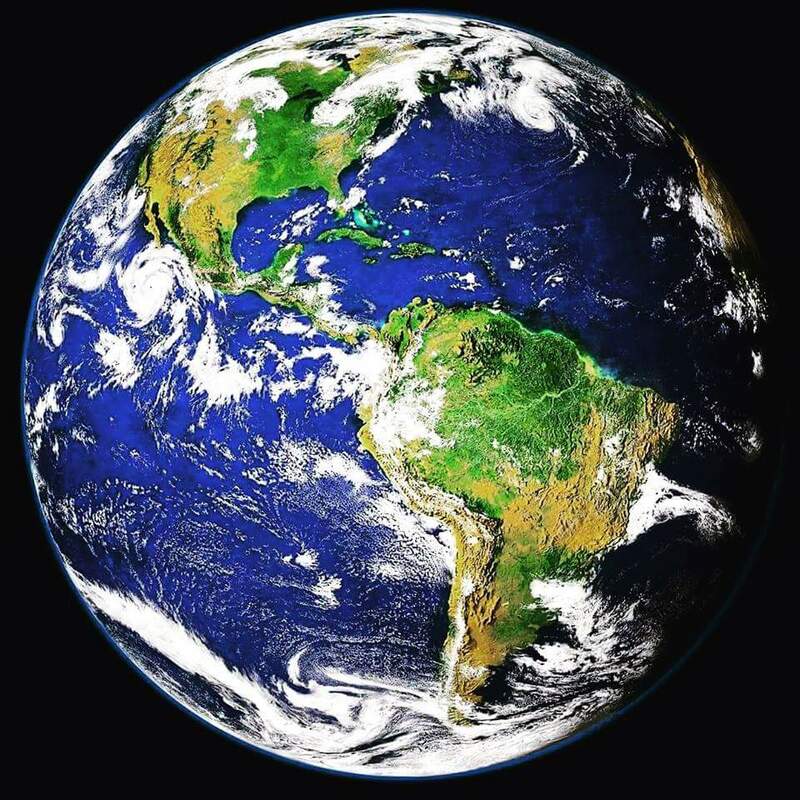 Planet earth is a single system in which nothing or no process exists in isolation. 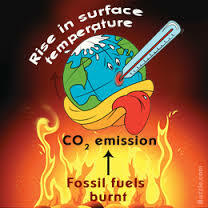 The burning of fossil fuels began to change the composition of the atmosphere. The temperature of Earth began to warm above what might be expected from natural causes and the term global warming started to appear in literature. Professional conferences by groups of scientists and others began to occur. Many homogeneous political units such as cities, states or provinces began to respond to climate change because governments of these units began dealing with problems of flooding, unhealthy air to breath, increasing heat, etc. Cities and towns are home to the majority of people now living on the planet. The number living in cities is growing by more than a million each week. By mid-century the percentage of people living in urban areas is estimated to reach 70%. Groups of cities are now actively working together to reduce greenhouse emissions. As of June 6, 2018, approximately 250 mayors of American cities have officially adopted the Paris agreement. These cities contain about 60 million people. They are part of a group called Mayors National Climate Action Agenda. Among the cities that have agreed to support the Paris Agreement is Pittsburgh, Pennsylvania. This is the very city where U.S. President Trump stated he did not represent Paris and might withdraw the United States from the agreement. Cities, states and individuals must do their part in preventing climate change. Perhaps the most concerted effort being made is to reduce carbon emissions. Carbon dioxide (CO2) is the primary gas in the absorption of energy in the atmosphere. Cities account for about 70% of carbon dioxide emissions. A major part of the effort to reduce emissions is reducing carbon emissions from motor vehicles. Another is switching to renewable fuels for generating electricity. This means eliminating power plants using fossil fuels. The Sierra Club recently estimated that encouraged by their Beyond Coal campaign, coal-fired power plants have been closing at times at the rate of one every 16 days. This month representatives from more than 70 countries are gathering in Edmonton, Canada, to explore how to develop cities that can create and maintain a climate that adds a minimal of carbon to the atmosphere. While some national governments, such as that of the United States, refute the whole concept of climate change and do not want to take any action, the people are taking combined action through more localized governments. It seems clear now that political organizations other than national governments are going to lead in taking actions to reducing climate change. Categories: Building Green, Climate Change, Extreme weather | Tags: #climatechange, Climate change, Fossil fuel, Greenhouse gas, Renewable energy, Sustainable energy | Permalink. Those of us fighting to leave a planet that is livable for future generations…..the fight is still on! April 27, 2017–New data put out by the EPA shows the current trend toward global warming….it’s not improving! Our planet is continuing to heatup! * 2016 marks three consecutive years of record breaking temperatures for our planet. * Our planet experienced 8 consecutive months, January to August, of record heat. The highest since recording began in 1880. * The average temperature of land and ocean surfaces was 1.69 degrees F above the 20th century average. * The 2016 global ocean surface was highest on record–1.35 degrees F above average. *The 2016 global land temperature was the highest on record–2.57 degrees F above average. * North America had the warmest year on record. * The area of Arctic sea ice was depleted to a new record low since recording began in 1979. * The average mass of Antarctic sea ice was 2nd smallest since recording began in 1979. * All 6 continents have recorded record breaking temperatures in 2016. * The global average temperatures over land and ocean surfaces for March 2017 were the 2nd highest for the month since recording began, 1.89 degrees F above 20th century average of 54.9 degrees F.
* The year-to-date global temperature was the second warmest on record. 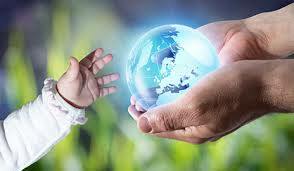 Let’s hand our children a healthy planet! * To date, all 16 years of the 21st century were among the warmest ever recorded. The 5 warmest have been since 2010. * The average annual temperature for ocean surfaces around the world was 1.35 degrees F (.75C) higher than 20th century average. 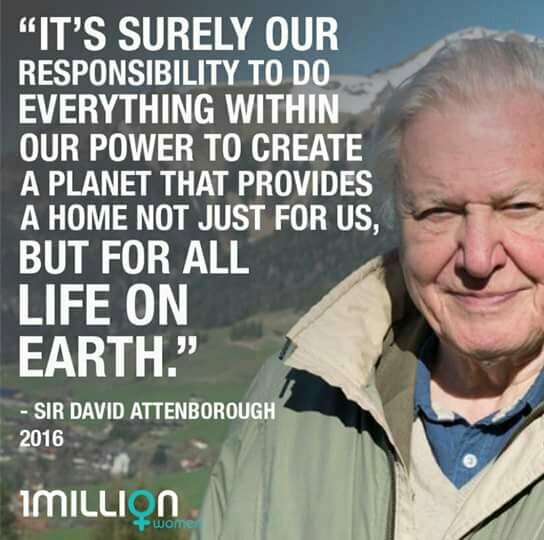 So those of us fighting to leave a planet that is livable for future generations…..the fight is still on! Fight to against global warming! Categories: Climate Change, Fossil Fuels, Renewable Resources, Sustainable Education | Tags: #climatechange, #renewableenergy, Co2 and Global Warming, Greenhouse gas | Permalink. Heat Island prevent heat from escaping cities. April 20, 2017—–If you live in a city you probably have noticed how much cooler it is in the summertime when you take a drive in the country. Drive back toward the city, with its concrete buildings, and you feel the great intensiveness of a hot summer day. There’s a name for this city heat….the urban heat island effect. What is a Heat Island? 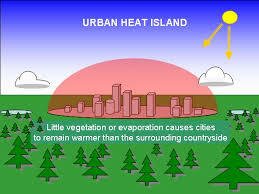 An urban heat island describes a large area of buildings and concrete (cities) that has temperatures which are higher than the countryside surrounding them. According to http://www.epa.gov, “The annual mean air temperature of a city with 1 million people or more can be 1.8–5.4°F (1–3°C) warmer than its surroundings. In the evening, the difference can be as high as 22°F (12°C).” With global warming the temperatures of the heat islands will continue to increase. What Causes the Build Up of Heat? As you enter a city you may notice concrete and asphalt surrounding you—-buildings, parking lots, streets and side walks. The concrete and asphalt absorb the sun’s heat rather than reflecting it, causing surface temperatures to rise. The rise in temperature also causes a depletion of vegetation resulting in less shade and moisture in the air. The resulting heat requires an increase in energy consumption—air conditioning which results in greater electrical use. This cycle keeps revolving—a catch 22 in which there is no escape from the merry-go-round of negative conditions from heat build-up. Cities can also cause “hotspots” of pollution. This smog can trap heat over a city, holding in the gases from coal burning facilities and vehicle emissions, not allowing them to escape into the atmosphere (the greenhouse effect). In addition, the closely built structures resist air flow, keeping the air trapped in the city, unlike the countryside which cools off as the air flows more freely. Some of the more obvious effects of heat islands are discomfort, breathing problems, heat stroke and exhaustion. But they can also be related to cardiovascular disease, sleep deprivation, depression and many more! *Cut down on heat absorbing materials, such as asphalt and cement, by using more reflective surfaces for paved areas.The pavement can be enhanced by using reflective aggregate, a reflective or clear binder or a reflective surface coating. *Plant trees that shade streets and paved areas. *Use white roof membranes instead of black. 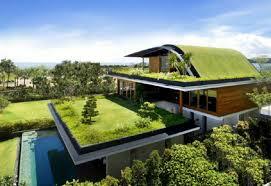 *Create a green roof–rooftop gardens. *Create rooftop decks made from wood. 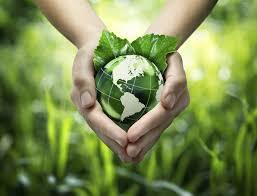 *Use energy efficient appliances and equipment which cut down on electrical use. 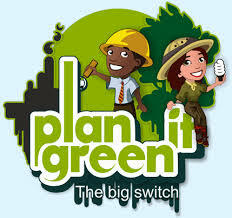 As urban areas grow a person’s health will be connected to the build up of heat and pollution in the city…..it will become essential to build green. The planning stage for this is now! Categories: Building Green, Climate Change, Energy Programs, Fossil Fuels, Renewable Resources, Solar | Tags: #urbanheatisland, Climate change, Fossil fuel, Greenhouse gas, heat islands | Permalink. May 7, 2016—In December of 2015 a conference was held in a suburb of Paris, France to discuss the necessary action to slow global warming. More heads of state attended that conference than had ever attended a single conference. There were 195 leaders attending, which is virtually every nation recognized by the United Nations. The outcome was that nearly all of the countries presented plans to reduce greenhouse gases in the near future. The date for signing the agreement was set for Earth Day, April 22, 2016. 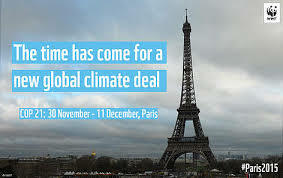 On that date representatives of 175 governments came together again in a special ceremony to confirm the commitments they made in Paris by signing the agreement. The two largest greenhouse gas emitters, the United States and China, were among those that signed. The remaining countries have until Earth Day 2017 to sign. What remains is for the individual countries to ratify the agreement. Enacting this agreement would be a huge step forward in slowing greenhouse gas emissions and global warming. The agreement was that the plans presented at the Paris conference would be in place by 2020. Many, if not most of the signers, expect to have their plans implemented before then. Saudi Arabia has changed direction on oil after nearly a century of dependence on the mining of oil to finance the nation. A number of problems have led to this major change in economic policy. Among them are the collapse of the price of oil on the international market and growing unemployment for younger people entering the job market. The sale of oil produced more than 70% of the state income in 2015. Saudi Arabia experienced close to $100 billion dollar national deficit in 2015 and is projecting an 85 billion dollar deficit in 2016. The rapid transition away from coal and oil as energy sources, and the greenhouse gasses they emit, is driving down the demand for oil as renewable energy sources are becoming less expensive. The government has developed a new plan known as Vision 2030 that would diversify the Saudi economy. The plan would set up the largest government investment firm in the world. It includes selling a small stake in Aramco, the national oil company. The current estimated value of the company is three trillion dollars. It also eliminates 61 billion dollars worth of energy related subsidies to individuals, which have been used to support the royal family. The Little Ice age was the coldest period in historic times. It occurred from the fifteenth to the nineteenth centuries and much of the earth experienced cooling. This past winter was the warmest winter on record in North America. Just 200 years ago during the Little Ice Age the colonies experienced the coldest summer on record. The year 1816 is known as “the year without a summer.” The year began with excessively low temperatures across much of the eastern seaboard. As spring came, the weather seemed to be cool, but not excessively so. In May however, the temperatures plunged. In New England, frost occurred every month. In Indiana, in the interior U.S., there was snow or sleet for 17 days which killed off seedlings before they had a chance to grow. The cold weather continued into June, when snow again fell, totally devastating any remaining crops. No crops grew north of a line between the Ohio and Potomac Rivers, and crop yields were scanty south of this line. In the pioneer areas of Indiana and Illinois, the lack of crops meant the settlers had to rely on hunting and fishing for their food. Reports suggest that raccoons, groundhogs, and the easily trapped passenger pigeons were a major source of food. The settlers also collected many edible plants which proved hardier than cultivated crops. The cold hit Europe also. Alpine glaciers grew in size and advanced to lower elevations. The Thames River in England froze over many times. It has not frozen over since the winter of 1813-1814. Many technological innovations are cutting greenhouse gas emissions. One such innovation is used by the Sea Life Center in Seward, Alaska. The Alaskan aquarium now draws 98% of its energy for heating and cooling from the sea. The center is getting heat energy from Resurrection Bay using a heat exchange system. Sea water contains a great deal of heat energy. The bay is about 900 feet (273m) deep, absorbing heat from the sun during the summer and retaining heat through the winter deep below the surface. A complex system of pipes carries heat from the bay into the Sea Life center, which can also be used for cooling. The center uses only a very small amount of energy from other sources, (2%)% and so has drastically cut the amount of greenhouse gas emissions. 2016: Moving towards renewable resources! Categories: Building Green, Climate Change, Energy Programs, Fossil Fuels | Tags: Climate change, Greenhouse gas, Renewable energy, Sustainable energy | Permalink. Old pipes leak natural gas. March 3, 2016—-Methane is an organic gas found in the environment. It is a powerful greenhouse gas, but does not stay in the atmosphere for very long. Methane is also a much cleaner fossil fuel than coal or oil. For this reason, among others, the use of natural gas, which is largely methane, has increased rapidly in recent years. This has resulted in large increases in emissions, atmospheric levels, and hazards. Natural gas has long been a product of oil drilling. Once oil drilling began natural gas was often found as a byproduct. For many decades the gas was simply burned as it reached the surface. Photographs over the Middle East taken in the daytime show long streams of black smoke coming from well sites. At night the oil fields stand out clearly because of these burning gas torches. In the southwest of the United States, oil well drilling began in the early 1880’s. Here too, the natural gas was burned off. Only much later, when a demand for natural gas developed, was the escaping gas contained. In January 2016 NASA reported that satellite data showed a cloud of natural gas in the atmosphere over the southern Great Plains. The cloud is not visible to the human eye. It is believed to have been created by years of drilling for oil and particularly during the drilling of wells where fracking is used. Natural gas leaks during the drilling process are common. The cloud is centered over the state of New Mexico and may be a permanent fixture. As clouds go it is fairly large, but small when compared to the size of the state. Scientists believe that the cloud is not new, but may have been growing rapidly. Over the Great Plains the addition of natural gas from cattle digestive tracts undoubtedly has contributed to the cloud. It should be pointed out that long before oil and gas drilling began, natural gas seeps were not uncommon in the area. Known as the Porter Ranch Gas leak, the well began spewing methane into the atmosphere on October 23, 2015. The leak developed at a SoCalGas natural gas storage facility known as the Aliso Canyon site in the Santa Susana Mountains. The storage facility is the second largest in the United States. 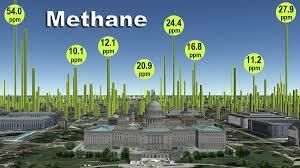 The leak, which developed about 8000 feet (2440 m) below the surface, ejected some 50 tons or more of methane per hour. In all more than two million metric tons of natural gas escaped into the atmosphere. It is believed to be the largest natural gas leak to occur as a result of mining oil and natural gas. Federal law does not require safety valves on gas wells. Because the leak was so far below the surface, company officials knew it would take a long time to cap. It was not capped until February 18, 2016. Natural gas by itself is not toxic, but many people complained of a variety of illnesses, which researchers at the University of Southern Cal said were due to additives that might pose a risk—added to make it easier for people to detect the gas. Among the health problems were eye and throat irritation, headaches, nausea, and even nose bleeds. This leak was sufficient to force the removal of thousands of families from the immediate area and Governor Jerry Brown to declare a state of emergency. A second way in which the use of natural gas increases the atmospheric concentration of methane is through leakage in natural gas pipelines. Scattered around the world are thousands of miles of natural gas pipelines and almost all of them leak. In Washington, D.C. recent research determined that there were about 6000 leaks in the pipeline network within the city. The average amount of natural gas leaked in Washington, D.C. is more than twice the natural average. 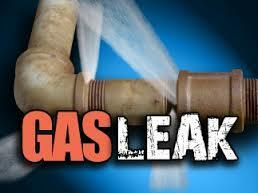 The leaking gas is determined to be from natural gas by its chemical nature. Mined natural gas contains other forms of volatile gas such as ethane and propane, which gas forming at the surface does not have. Recent studies also indicate that emission rates from leakage are as much as 75% higher than EPA estimates. It is inevitable that leaks will occur in gas lines and in homes and other structures that utilize natural gas for cooking or heating. In many cases of leakage, the concentration is so high it is potentially explosive. Globally there have already been many cases of explosions occurring which result from leaking natural gas. Homes and buildings frequently explode when leaking gas is ignited by a spark or open flame. There have been an untold number of such explosions. Perhaps the greatest gas line explosion in terms of human casualties was that known as the Ufa train disaster that occurred in Russia in 1989. Sparks from passing trains ignited gas leaking from an LPG line causing it to explode. Two locomotives and 38 passenger cars were derailed. More than 600 people were reported killed. When natural gas leaks into our air, it’s a big problem for our climate. It is essential that utility and gas companies take responsibility to repair these leaks for the future health of our planet. What we do today determines the health of our planet tomorrow. Categories: Climate Change, Energy Programs, Fossil Fuels | Tags: Climate change, Fossil fuel, Greenhouse gas, Sustainable energy | Permalink. February 12, 2016—For most of human history the energy available to our species was the strength of the individual. The first supplemental energy source humans began to use was fire. Fire was being used in Yunan province of southeast China more than a million years ago. Fire provided energy for light, for cooking, and other uses. It most likely provided these individuals an advantage in growing their population. 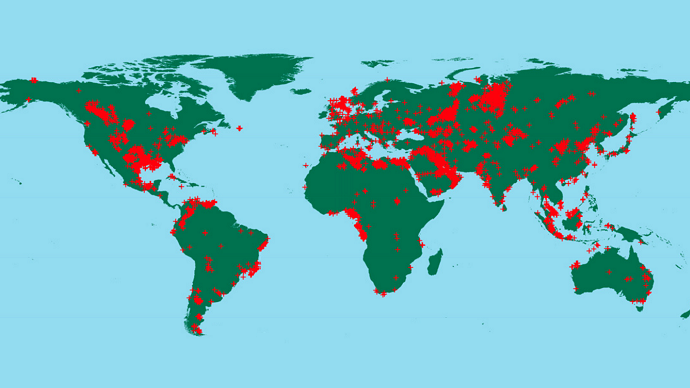 The use of fire spread through the global population. It may also have come into use independently in different areas. As the use of fire spread as a resource, a variety of fuels were used depending on what was available in the region. All were renewable energy sources. In the forested regions dried, downed limbs and twigs served the purpose. In the grasslands dried grasses and stems of shrubs provided the fuel. Bones from dead animals were also used as fuel. In the Great Plains of the United States, the early farmers burned wheat straw and corn stalks for heat in the winter. Often an empty metal barrel served as the stove. An additional organic fuel source in many areas was dried dung from herbivores, such as elephants and buffalo, were used. 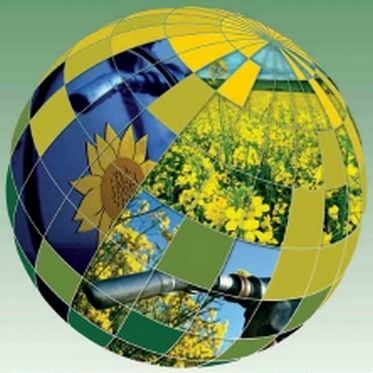 The use of these renewable fuels continues today in parts of Africa, Asia and South America. Even in the modern world of the internet and drones, dried dung is still being sought for fuel. In India cow dung is mixed with grasses and dried into patties. Piles of drying dung are common in rural villages, as are walls plastered with drying cow patties. In fact in cities in India, residents can purchase cow dung patties from internet retailers such as Amazon and eBay. While not in great demand, they are still used in some religious ceremonies and occasionally for nostalgic reasons. The use of natural organic fuels continues today in many cultures, such as the Amazon rain forest where tribes use the same fuels as the earliest human’s use of fire. Eventually the use of animal power was added as an energy source for transportation and pumping water for irrigation among other things. This gave the people a physical source of mechanic energy. Draft animals are believed to have been used as early as 7000 years ago. The use of wind and flowing water came into use in different areas around the world at different times. Water wheels were used to lift water for irrigation or to drain mines in the first or second century BC. A windmill is known to have existed in Alexandria, Egypt as early as the first century AD. They were certainly in use for pumping water and grinding grain in the 10th Century. Paintings of landscapes in the Netherlands show windmills in use. Both windmills and water wheels were in widespread use by 1500 AD. The additional power source increased the amount of food that could be produced and so the global population grew rapidly. The industrial revolution began in what is now Britain during the period from 1783 to 1812. By this time the global population had passed the 500 million mark. The pressure of the growing population had severely reduced the supply of wood for fuel and as a building material. This brought about a transition to the use of fossil fuels. People began burning chunks of coal that were found scattered on the surface. Mining coal began soon after. When the steam engine was invented the demand for coal grew even faster. Coal supplied a seemingly unlimited source of non-renewable source of energy. The consumption of coal has increased rapidly after the onset of the industrial revolution. It is the most used fuel for generating electricity. The consumption of coal increased by more than 50% in just a few years from 2000 to 2011. The use of oil and natural gas has also expanded rapidly since their introduction as usable fuels. In the 21st Century there has been a resurgence in the use of renewable energy. The traditional sources of renewable energy, such as vegetation, wind, and water continue. To these are added solar energy. There are a number of reasons for the growth of renewables, such as the hazards of burning fossil fuels. Also, new technologies for obtaining energy from renewable sources are rapidly reducing in cost. Only the growth of hydroelectric power generation, which was highly developed in the 20th Century, has slowed. This is largely due to the fact that large dams tend to completely alter the river morphology both above and below the dams. One bit of trivia related to the increasing use of renewables is that the stadium in which Super Bowl 50 was played is powered by solar energy. Significant also is the fact that automobile companies expect to have a practical and affordable electric car on the market within five years. The future? Experimental cars and buses are being developed using solar energy. Are we coming full circle back to pre-industrial life out of necessity–trying to save the only planet we have? Categories: Building Green, Climate Change, Energy Programs, Renewable Resources, Sustainable Education | Tags: Climate change, Greenhouse gas, Renewable Energy Education, Sustainable energy | Permalink. 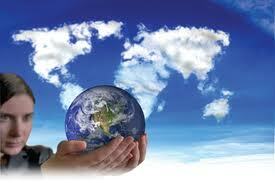 The concern over global warming and climate change is so universal that 196 countries signed the agreement. Ban Ki-moon of South Korea became secretary general of the United Nations in 2007. He surprised many by announcing that he would make climate change a main priority and added a climate change summit meeting at the United Nations in July 2007, with another set of negotiations in Copenhagen, Denmark in 2009. The Kyoto Protocol of 1997 expired in 2012. Two of the countries which led in greenhouse gases, the United States and Australia, did not sign it. Ban Ki-moon was a leader in making the Paris conference on climate change a success. The conference on climate change brought together the greatest number of heads of state (approximately 150) of any conference in history. 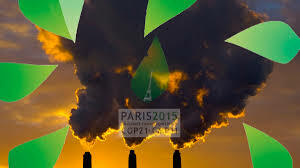 The climate conference convened in Paris on December 1, 2015 and concluded on December 13. Cop 21 was the twenty-first meeting of the “Conference of Parties.” These are the same countries that signed a treaty called The United Nations Framework Convention on Climate Change in 1992. There is a lot of hard work to be done after the Cop21 agreement. The main goal of the group was to keep the mean temperature of Earth from increasing less than 2 degrees C (3.6 degrees F) above the pre-industrial average temperature, even though it has already risen about half that: 1 degrees C (1.8 degrees F). What this means is moving forward in our effort to keep the global temperature from rising no more than another 1 degree C (1.8 degrees F). This would bring the level of carbon dioxide back to where it was at the beginning of the industrial revolution. To reach this goal greenhouse gas emissions must be reduced essentially to zero by 2070. An even more optimistic goal is to keep the temperature from rising only half that of the primary goal. To reach this goal of 0.5 degrees C (0.9 degrees F), it will be necessary to have negative emissions. Negative emissions means taking more greenhouse gases out of the atmosphere than are being added to it. Theoretically this could be done by adding technological means to natural means of removing carbon from the air. Natural means would include expanding areas of forest. Many technological means have been suggested, including seeding the ocean and direct removal of carbon dioxide from the air. Hopeful that we have turned a corner as a planet. It may already be too late to limit the warming to the lower level. To reduce the rise to 0.5 degrees C, greenhouse gases need to be reduced to zero by 2050. This is probably politically impossible, if not physically impossible. The cost of this radical program would be too high and it would be necessary to take funds away from other critical programs. Any significant measures taken would be expensive. Estimates of costs to bring emissions into a negative level are as much as $100 a metric ton. A second goal was to have a united climate change agreement accepted by the end of the conference. The leaders of nearly every country signed on in the end. The agreement was finalized on December 12. The group committed to keeping the global temperature rise to 1 degree C (1.8 degrees F) by the year 2100. This agreement imposes no penalties for countries which do not meet their own goals. A key difference in this agreement from previous agreements is that each individual country can set its own goals for reducing greenhouse gas emissions. Prior conferences wanted to set the goals for each country. Some poor countries still wanted the richest countries to bear the biggest share of the cost or to make the biggest cuts in carbon emissions. The wealthier countries did commit $100 billion a year to help pay the costs for the poorest countries. The concern over global warming and climate change is so universal that 196 countries signed the agreement. It is worth noting that both Australia and the United States supported the goals of this agreement. What will actually be done to limit the emission of greenhouse gasses remains to be seen. However, if actions already being taken by countries, cities, and other institutions are any indication, there will be major changes! Categories: Climate Change, Energy Programs, Fossil Fuels, Renewable Resources, Sustainable Education | Tags: Ban Ki Moon, Climate change, Co2 and Global Warming, COP21 Paris Agreement, Greenhouse gas | Permalink. Coal must be reduced as a means of energy. December 23, 2015—The industrial revolution took place in what is now Britain from 1783 to 1812. At this time the global population had passed the 500 million mark. The pressure of the growing population had severely reduced the supply of wood for fuel and as a building material. People began burning chunks of coal in Britain which were found scattered on the surface of the land or very close to the top. Mining began soon thereafter and the use of coal as a fuel rapidly expanded. When the steam engine was invented the demand for coal grew even faster. Coal supplied a seemingly unlimited source of non-renewable energy. It was a boon to economic growth! The use of coal has increased rapidly since the onset of the industrial revolution and today is the most used fuel for generating electricity, increasing by more than 50% in just a few years. From 2001- 2011 India doubled its coal consumption and Australia, one of the leading users of coal in 2011, consumed more than five times the world average per capita consumption. Also, China now burns almost half of all coal consumed each year. Human beings have suffered health hazards from smoke ever since they gained control of fire. Coal is the dirtiest of the fossil fuels. Burning coal emits soot, sulfur dioxide, nitrogen oxides and carbon dioxide. 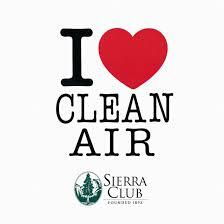 As a result, it causes more illness and fatalities than other fossil fuels. In 2013 China set up a color code to announce bad air quality. The worst conditions are signified by code red. An alert is issued whenever a period of three days or more of hazardous air quality is forecast. On Sunday December 6, the government issued an alert. On Monday, December 7, the government of China declared a state of emergency due to severe smog. Schools and factories were shut down and cars were ordered off the roads. More than 3000 schools closed. On Tuesday, December 8 the air index in Beijing reached 108. At this level people were told to stay inside. Just a little more than a week later another alert was issued. Earth has warmed an average of 1.5 degrees F since the 1880’s. The biggest share of the warming has occurred in recent decades. The last decade has been the warmest on record. The year 2014 was the warmest year to date and indications are that 2015 will be even warmer. To keep the total carbon emissions at or below the critical temperature increase of 3.6 degrees F, a total of one trillion tons is the maximum amount of carbon that can be emitted into the atmosphere over time. As of 2015 it is believed that half this amount has already been dumped into our atmosphere. Carbon emissions could reach the one trillion mark within 30 years. To keep it at or below the threshold means an 80% or more reduction within the next 30 years. The future growth of the world economy is dependent on an increasing supply of energy available to power the system. The use of coal as a fuel has now become a bane to people and the environment. It is imperative that burning coal as a fuel must be reduced. This does not mean eliminating coal as an energy source—but the amount must be reduced. 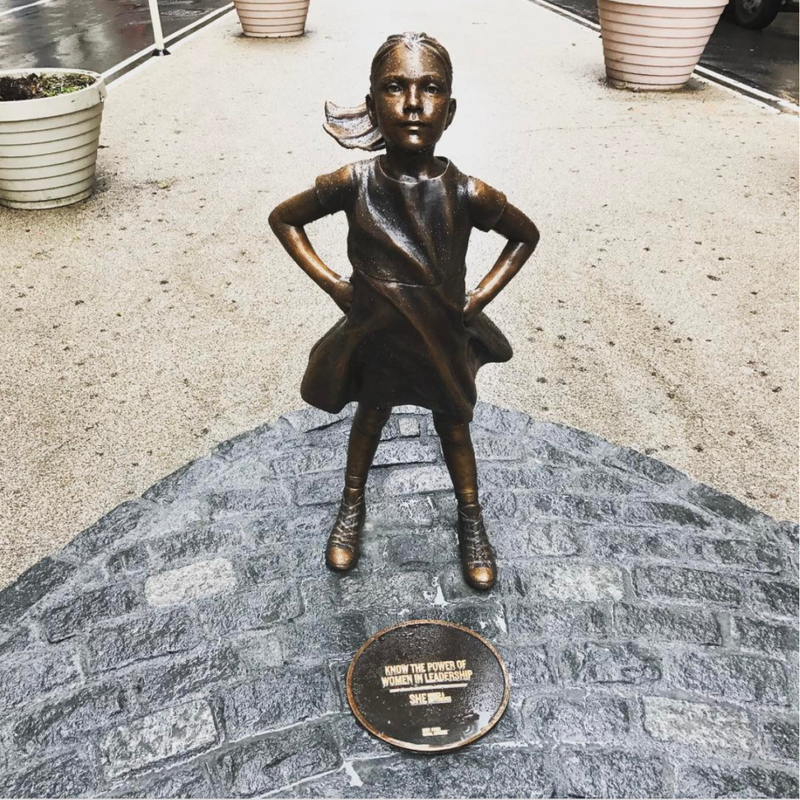 There are a number of ways to accomplish this including: Replacing coal by oil or natural gas, sequestering carbon dioxide from power plants, changing to renewable energy sources such as wind and solar energy, and increasing the use nuclear energy. The responsibility is ours today! Categories: Climate Change, Energy Programs, Fossil Fuels, Renewable Resources | Tags: Climate change, Co2 and Global Warming, Fossil fuel, Greenhouse gas | Permalink. The use of palm oil products, that further the destruction of our planet, its people and wildlife, is not acceptable! According to Philadelphiazoo.org, a zoo currently working towards spreading awareness of the negative impacts of palm oil, the oil can go by many different names in many different products, such as foods, cosmetics, hair and lotion products, cookies, toothpaste, cleaning products, and the list goes on. Here are some of the different names for palm oil you may find on these products: Cetyl Palmite, Ethyllhexyl Palmitate, Hydrated Palm Glycerides, Octyl Palmitate, Palmitate, Palmityl Alcohol, Palmolein, Sodium Kernelate, Sodium Palmate….and more! Oil palm and other palms, including coconut, come from the family Arecaceae which means “palm”–but there are thousands of different species of palm trees which grow a variety of different fruits, from dates and acai to coconuts. The fruit of the palm oil tree has kernels which are pressed to make palm oil. Most palm oil comes from the species Elaeis Guineensis. Coconut palm is from the species Cocos Nuciferas. A website, davesgarden.com, describes many of the various fruits of the palm family. The Palm tree, which we get our coconut oil from, is mostly cultivated in Indonesia, the Philippines and India on a very small scale. The coconuts, harvested by local farmers, are a renewable resource. The coconut palm is known as a “three generation tree”, as it continues through three generations, supporting the farmer, his children and his grandchildren. The farmers produce coconut for coconut milk, coconut oil, fibres for rope, mats, mattresses, and paint brushes. Tropical forests are burned to make room for palm oil plantations. 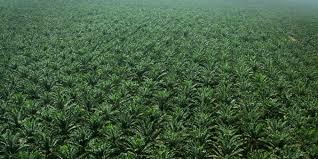 Quite the opposite of coconut production is the environmentally unfriendly production of palm oil. The oil palm is mass cultivated on large plantations that have been created by removing not only the indigenous people from their homes, but also have devastated the habitat of wildlife, mainly the Orangutan and Tiger in Indonesia and Malaysia. Tropical forests have been cleared to create plantations. This clearing has added to the warming of our planet as the valuable trees are cut and sold, leaving the rest to be burned down. 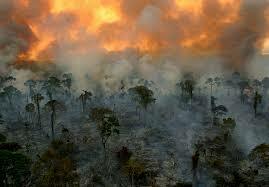 Burning of the tropical forests emits large quantities of smoke into our atmosphere. Oil palms are then planted. When the forests are cut they release large amounts of carbon into the atmosphere, driving up temperatures by the greenhouse effect. Indonesia is the 3rd largest greenhouse gas emitter in the world. It is estimated that 714 million acres of tropical forests will be cleared by 2050 adding another 169 billion tons of carbon dioxide into the the atmosphere, significantly raising global temperatures. 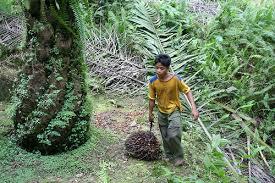 Child labor is used by the oil palm industry. Corporations involved in the palm industry are accused of human rights violatons by employing child labor and taking the land owned by indigenous people for their own financial benefit–to supply the world with palm oil! Without their own land, the indigenous people have no choice but to become palm plantation workers, getting paid barely enough to support their families. Another negative effect of cutting tropical forests for palm oil plantations is the destruction of peatlands, which store carbon. These peatlands, which have developed over thousands of years, are drained and cleared. According to biofueldaily.com, “Draining the peatlands exposes the upper layer to oxygen, raising decomposition rates and soil carbon losses. Most of the carbon is emitted into the atmosphere, speeding up climate change by emitting still more greenhouse gasses.” Clearing a single acre of peatland rain forest can release up to 15,000 tons of CO2 into the atmosphere, (one hectare releases up to 6000 tons of CO2). Greenpeace and many other environmental organizations have criticized this group as, “Falling short of protecting the rain forests and reducing greenhouse gasses,” because the RSPO which has created the certified sustainable palm oils is not guaranteed to be deforestation-free. The RSPO also allows the destruction of peatlands by the industry. In 2013, 200 scientists asked for stronger standards, but the RSPO failed to respond. In 2014, 67,000 tons of palm oil was used by Betty Crocker, Pillsbury and Nature Valley, requiring 44,700 acres of tropical land to be cleared to grow the palm oil. According to the Union Of Concerned Scientists there are steps we can take to let the industry know these practices are not acceptable. By going to the website:https://secure3.convio.net, you can sign a letter to the industry to increase sustainable practices. The use of palm oil products, that further the destruction of our planet, its people and wildlife, is not acceptable! 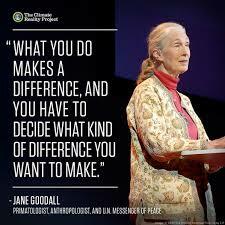 Do what you can to make a difference! Categories: Climate Change, Pollution, Poverty, Rainforests, Renewable Resources | Tags: Climate change, Co2 and Global Warming, Greenhouse gas, palm oil, Renewable Resources, Sustainable energy | Permalink. With climate changes comes broken temperatures! August 13, 2015—Mid-summer temperatures in the northern hemisphere sometimes soar. For instance, I had the privilege of living in Khartoum, Sudan where it gets extremely hot in summer. It got hot enough on some days that the oil on the streets seemed to essentially boil. Driving along in a car, the sound of the tires bursting bubbles in the oil sounded like pouring milk on Rice Krispy’s! While in Sudan I drove a Volkswagen with an air cooled engine. At times, when arriving home and turning off the engine, it continued to run as the engine was so hot it continued to ignite fuel. This is what the locals referred to as dieseling. One day when I parked the car continued to run so I left it and went indoors. I came out a little later and it was still running. I finally put a wet cloth over the air intake to get it to stop. This was considered just summer weather and not unusual. On another occasion I was working in the Nafud Desert near Al Hafuf in Saudi Arabia. It was June–and hot! One day we went out about dusk to work. There was a thermometer in an instrument shelter that registered the maximum temperature for the day. The markings on it went to 120 degrees F (49 degrees C)! The mercury was above the highest mark but we estimated it at 124 degrees F (51 degrees C). It was not considered as part of a heat wave, just hot! I must say we did not go out during the hottest part of the day. Until recently the highest official temperature yet recorded was 132 degrees F (55.6 degrees C) in North Africa. The highest recorded in the United States was in Death Valley and it is now set at 134 degrees F (56.5 degrees C), making it the highest worldwide temperature yet recorded. The rivers recede and eventually dry up. When it seems unusually warm someplace there is often a tendency to describe the weather as a heat wave, but it is very hard to define a heat wave. The reason is simple. Normal summer high temperatures vary greatly from place to place. So what would be defined as a heat wave in one location would not be appropriate for another location, perhaps a location very near. An adequate definition might be, “A heat wave is an unusually warm or hot period lasting for days or perhaps weeks.” We associate them with summer, but by this definition they can actually occur at any season. At least one country makes a clear definition of a heat wave and that is Pakistan. India defines heat waves and uses different temperatures in different parts of the country to establish what constitutes a heat wave. 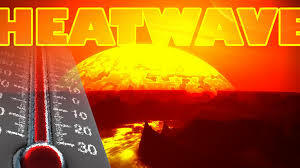 In the plains regions temperatures above 40 degrees C (104 degrees F) constitute a heat wave. They also define a severe heat wave for this region as experiencing temperatures over 46 degrees C (114.8 degrees F). Some heat waves have become deadly. Perhaps the most deadly heat wave of the 21st Century was that which occurred in Europe in August of 2003. 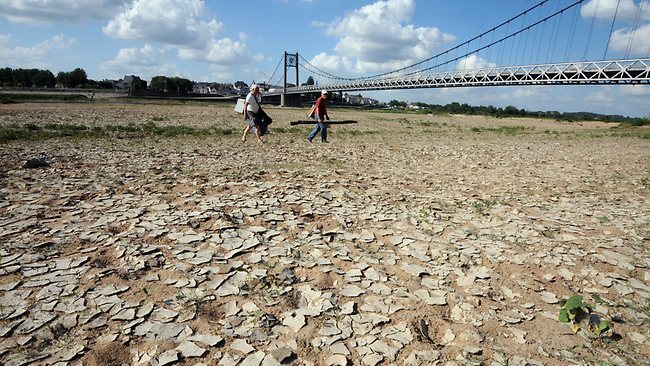 Temperatures in France reached as much as 40°C (104 degreesF) and remained exceptionally high for two weeks, resulting in nearly 15,000 heat-related deaths in that country alone. The death toll over Europe reached 35,000 at least and there may have been as high as 50,000 heat-related deaths. A large contributing factor in the high death toll was warmer nighttime temperatures. Nighttime temperatures were much warmer than normal. As a result people without air conditioning could not cool down during the night. The heat stress accumulated over time. The extreme heat waves also can devastate agriculture. In Europe the heat wave of 2003 temperatures averaged 5.5°C (10°F) above normal. In Italy corn yields dropped 36% below average. In France fruit yields fell 25% and wine production 10%. Heat also affects the rate of pollination of plants. In June the deadliest heat wave known to have occurred in Pakistan took place in the southern part of the country near Karachi. The death toll is unknown for certain but may have reached more than 1000. It was followed by several weeks of the most severe heat wave ever to strike India. The heat wave struck during the month of Ramadan which made the impact of the event more severe than it might have been. Unfortunately, city services were not in condition to cope with the heat. Southwest United States is expected to be considerably warmer during the 21st century. As the planet warms it can be predicted that: (1) new record high temperatures will be set for the planet and (2) there will be more severe heat waves. They will become hotter, more frequent, last longer, and occur in more varied places. As cities grow larger in area and population they will experience increasing heat waves. These are the realities that are taking place as our planet warms! Categories: Climate Change, Extreme weather, Fossil Fuels | Tags: Climate change, Co2 and Global Warming, Fossil fuel, Greenhouse gas | Permalink.